Ok, look at the stats (well... better don't. I don't wish you depressed ). Last days have been very very very few productive: some (few) shouts in the shoutbox, and almost no post. Of course, no new topic! I understand that a lot of people has been with exams, and they have had no time to post or check the site; after exams, vacations begin and beach, going out, meetings with your friends, etc etc etc. In my case, new work and, as a consequence, less time for me and for the forum. What about our ever wise Notessomes' High Priest? 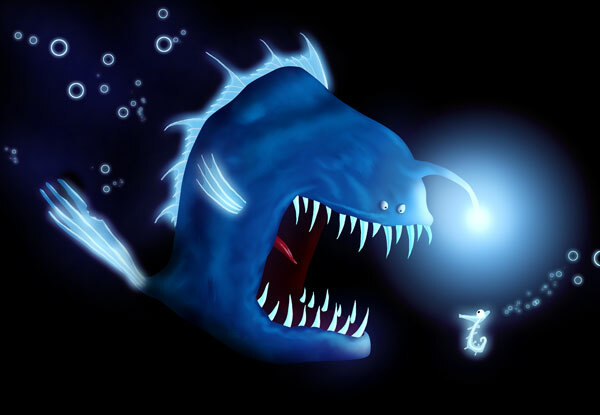 What about our ever hungry from the deep sea the Chief Anglerfish? What about the darkest among the dark, our Dark Queen? What about the ever-dying favourite English man? What about our ever-crazy, ever-cookies barking Mommy? What about our favourite hacker, the only virus we will allow to enter here? WHERE ARE ALL YOU? ??!!!!!!!! I wouldn't call this a crisis, I would just call it.... summer. I have loads of work to do before my hollidays start in three weeks :iconmi77kl: ... thus, I have less time for the forum. And given that nobody is posting I just don't stop to start anything new... and then the cycle starts again. I' ve learned that Eve is a dog AND that she is capable of barking cookies . Man! that's what I call a bizarre dog. Hail to a our great Metal-doggy-Mommy and to our great EK#1 Queen! I wouldn't call it a crisis.... let's call it a summer break! a summer break that should end as soon as possible. Wish I had more time , wish I had a less crapy internet connection at work! Very good, Luth, they are here and posting! My colleague is on holiday, I have to work two times more... So I don't have time to post. And next week it's my turn to rest! Life returns to normality on the 1st of August. BTW, since when NTSMS works with the Sumple Machines forum engine?! Excelent Luth!... but what about our shoutbox? can we have one in this forum?